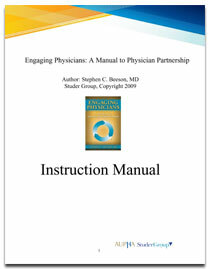 PowerPoint presentations are included for each stage of the nine stages of Engaging Physicians. Each presentation includes learning objectives, key concepts, lecture content, summary and individual teaching notes, where appropriate. References are made throughout the PowerPoint notes section directing users to the book or the Studer Group website for further information.